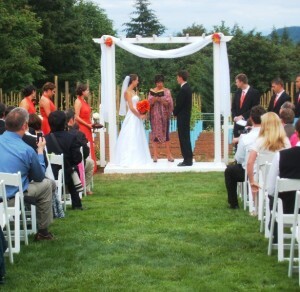 If you are lucky enough, private property venues are can be a perfect location for your wedding or reception. Often you get to create your own atmosphere and craft the event based upon how you want the event to flow. However, all this freedom of choice can be scary and a experienced guide can help prevent making unforeseen mistakes. Voila Catering has planned over 350 weddings over the last 13 years and this knowledge can save you money and result wonderful guest experience. 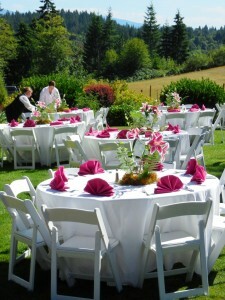 Wedding chairs and arch set-up by the Voila Catering team can make you day smooth and easy. Our team plans everything from ceremony and dining chairs to gift tables to dance floors. Planning the rentals is a large part of an event at a private residence and the professionals at Voila Catering will do all of the party rental planning and management at no additional charge and no surprise Mark-Ups over regular industry rental prices. Floor-length linens are always provided by Voila Catering for the most elegant appearance for wedding receptions. 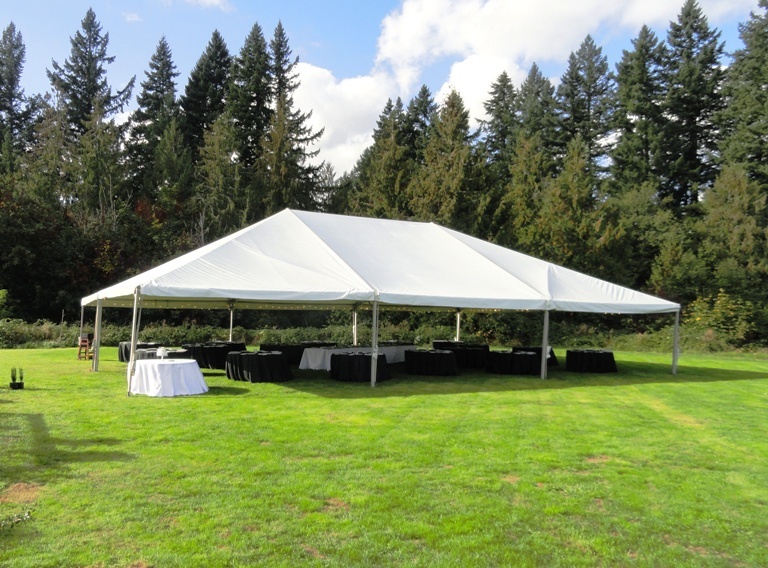 We offer your choice of 42 colors of premium Fortex fabric which is superior in texture and weight to any other rental company in Portland. These quality details set the our events above all others. 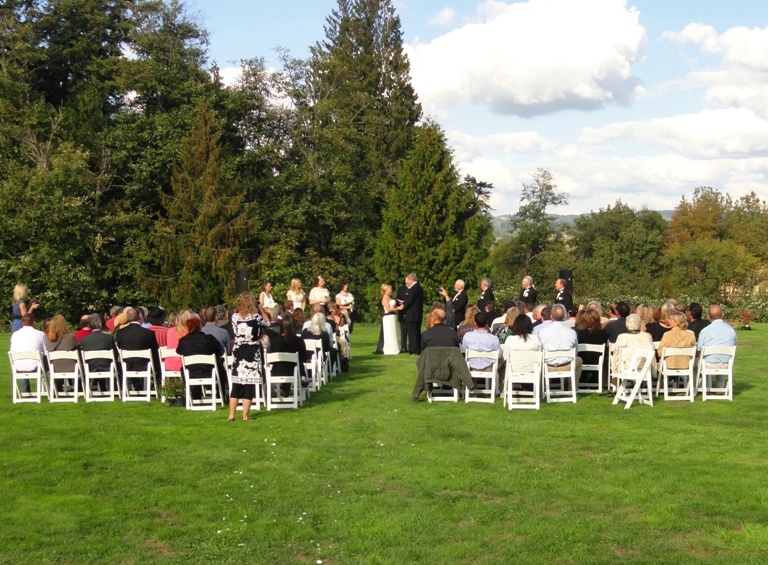 Planning your Portland wedding and reception is a big task so contact us to start discussing your event at your private property or home.